All hands on service managers. 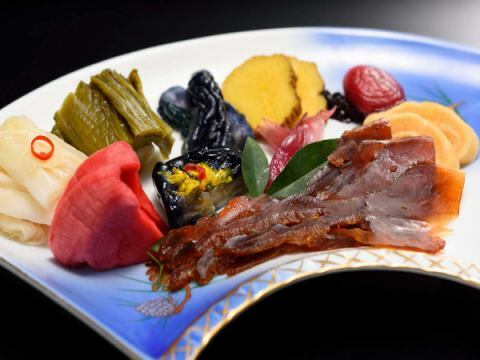 Tarobee is the taste of Tarobee. Passionate seasonal vegetables cooked and served with locally produced ingredients with truth. Enjoy "Homemade walnut miso rockfish's foil grilled" packed with local walnuts and stuffed in rocky fish belly. If you are not good at meat please feel free to change to fish etc. as long as you can tell at the time of reservation. 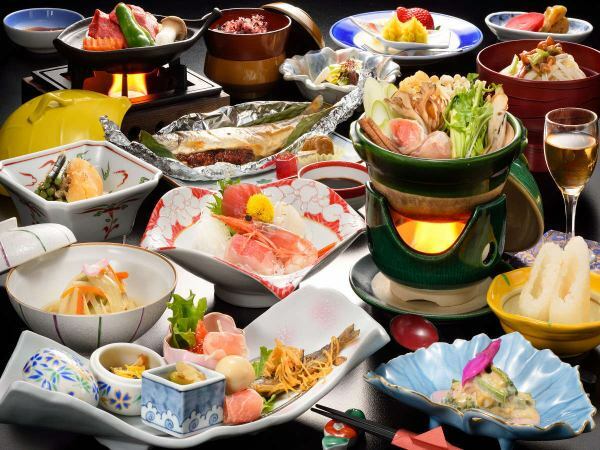 Others We are happy to serve the dishes according to the season. ※It may vary depending on the season. ※Food ingredients may vary depending on the season. 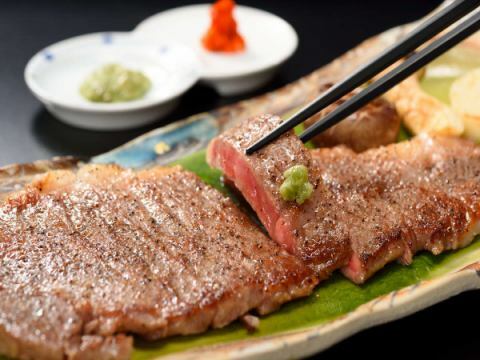 Minase Beef sirloin steak 180 g, "Advance reservation required"
Assorted tempura, "Advance reservation required"
In "plan with Minase Beef sirloin steak"
You can enjoy 90 g of Sake Steak with Steamed Minase Beef. Please inform us of the size of 180 g by the day before when it is appreciated. It becomes payment on additional at the site. ※With a plan other than steak you will be added separately. Assortment of pickles that the service manager handmade. We will order orders for rice and alcohol. 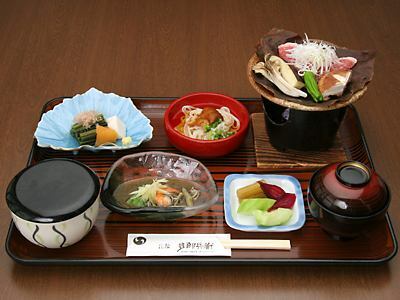 Classic eggplant pickles, Iburigakko (Japanese radish pickles), a little unusual miso mushroom "surprise", etc. We will receive it at the reservation until the previous day. 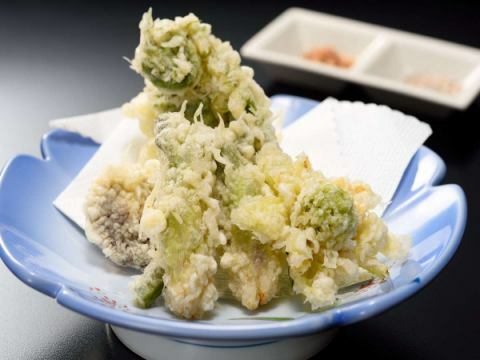 From early spring to early summer it will be an assortment of wild vegetable tempura. 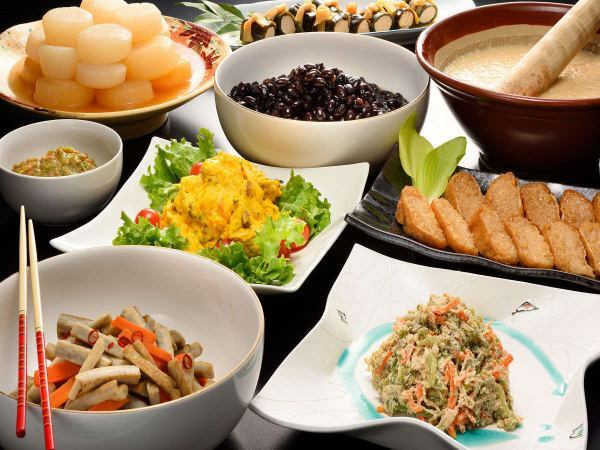 Summer - winter period will be a vegetable tempura assortment of home grown. Since content varies from day to day, please contact us by phone or e-mail for details. 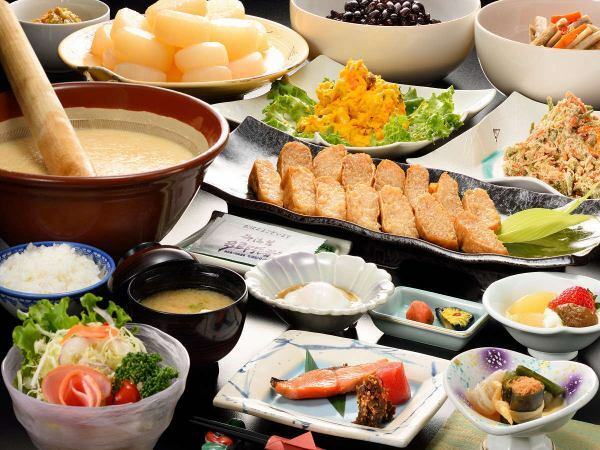 Set meal for day trip, "Advance reservation required"
※Besides this, there are sashimi set meals and tempura set meals, and there are also Yamana set meals and Kiritanpo (rice cake) Hot Pot set meals depending on the season. 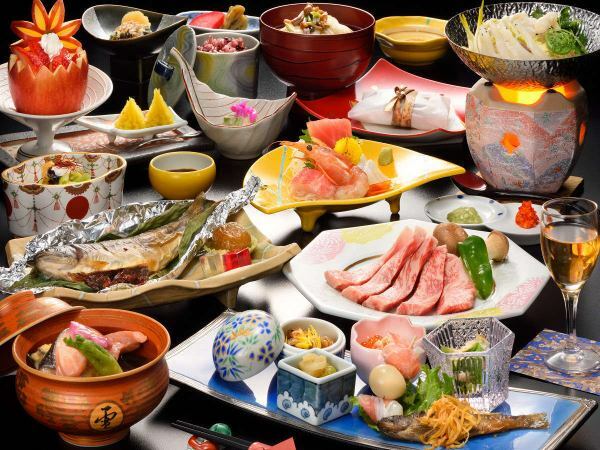 ※Usually we will have dinner at the Irori-an. When you wish for guest room or private room, we may refuse by crowded condition.